Photo credit: Taber Andrew Bain, CC BY 2.0. [Brittany Cloyd] came in after a night of worsening fever and a increasing pain on the right side of her stomach. She called her mother, a former nurse, who thought it sounded like appendicitis and told Cloyd to go to the hospital immediately. As Vox explains, Cloyd’s insurer didn’t consider ovarian cysts an emergency. Never mind that Cloyd didn’t know they were cysts before she went to the emergency room; Anthem still denied her claim and charged her for the full cost of the visit. 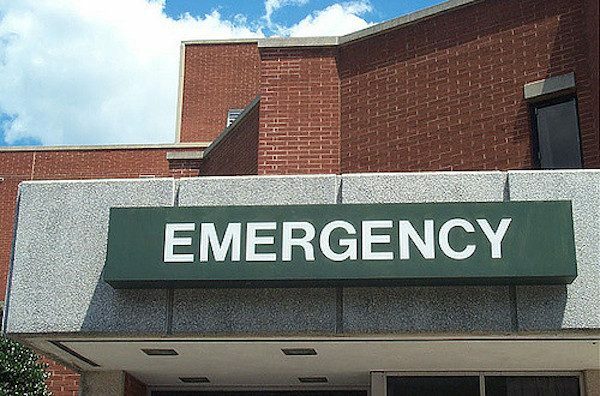 Meanwhile, some state Medicaid programs have started charging penalties for emergency room visits that don’t result in an emergency-level diagnosis, in an attempt to make people think twice before visiting the ER. It’s a good thing I had decent health insurance back then.